Saint-Petersburg State University ; Pavlov First Saint Petersburg State Medical University, Health Ministry of Russian Federation. Vilyum Irina Aleksandrovna – MD, Clinical Pharmacologist, Clinic of high medical technologies of N.I. Pirogov; Assistant Professor, Department of Clinical Pharmacology and Evidence-based Medicine. 7-9 Universitetskaya Emb., Sankt-Peterburg 199034, Russia; 154 riv. Fontanka Emb., Sankt-Peterburg 190103. Saint-Petersburg State University; Psychiatric hospital №1 named after p.P. Kashchenko. 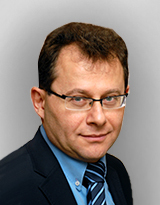 Andreev Boris Vladimirovich – MD, Professor & Chair, Department of Pharmacology; Clinical Pharmacologist. 7-9 Universitetskaya Emb., Sankt-Peterburg 199034, Russia; 154 riv. Fontanka Emb., Sankt-Peterburg 190103; 10 Menkovskaya Str., Nikolskoe 190005, Gatchina area, Leningrad Region. Proskurin Maxim Alexandrovich – Researcher, Department of Mathematical Modeling of Energy Systems, Faculty of Applied Mathematics and Control Processes. Balykina Yuliya Efimovna – PhD (Physics & Math), Associate Professor, Department of Mathematical Modeling of Energy Systems, Faculty of Applied Mathematics and Control Processes. 1. Gurovich I. Ya., Lyubov E. B. Pharmacoepidemiology and pharmacoeconomics in psychiatry [Farmakoehpidemiologiya i farmakoehkonomika v psihiatrii (in Russian)]. Moscow. 2003; 264 s.
2. Gurovich I. Ya., Lyubov E. B. et al. Social’naya i klinicheskaya psihiatriya (in Russian). 2002; 12 (3): 46-55. 3. Rise D. P. Economic burden of mental disorders in the USA. econom.neurosc. 1999; I: 40-44. 4. YAstrebov V.S. et al. Social’naya i klinicheskaya psihitariya (in Russian). 2009; 19 (4): 21-28. 5. Belousov Yu.B. et al. Psihiatriya i farmakoterapiya (in Russian). 2007; 9 (4): 49-55. 6. Belousov Yu.B. et al. kachestvennaya klinicheskaya praktika (in Russian). 2011; 1: 51-57. 7. Krysanov I. S. et al. Social’naya i klinicheskaya psihiatriya (in Russian). 2017; 27 (2): 88-94. 8. Omel’yanovskij V. V. Social’naya i klinicheskaya psihiatriya (in Russian). 2013; 23 (2): 73-83. 9. Krysanov I. S. et al. kachestvennaya klinicheskaya praktika (in Russian). 2016; 4: 27-34. 10. Etobaeva I. G., Lubsanova S. A., Tyheeva N. A., Rodnaeva O. A. Sovremennye problemy nauki i obrazovaniya (in Russian). 2015; 1(1): 13-24. 11. Krot K. V. et al. kachestvennaya klinicheskaya praktika (in Russian). 2016; 1: 34-40. 12. Janicak P. G. The CATIE study and its implications antipsychotic drug use. essent Psychopharmacol. 2006; 7: 53-63. 13. Kahn R. S. et al. Effectiveness of antipsychotic drugs in firstepisode schizophrenia an schizophreniform disorder: an open randomized clinical trial. Lancet. 2008; 371: 1085-97. 14. Vilyum I. A., Andreev B. V., Proskurin M. A., Balykina YU.E. FARMAkOekOnOMikA. Sovremennaya farmakoekonomika i farmakoepidemiologiya / FARMAkOekOnOMikA. Modern pharmacoeconomics and pharmacoepidemiology (in Russian). 2018; 11 (1): 3-18. https://doi.org/10.17749/2070-4909.2018.11.1.003-018. 15. Vilyum I. A., Andreev B. V., Proskurin M. A., Balykina Yu. E. klinicheskaya farmakologiya i terapiya (in Russian). 2018; 27 (2): 69-76. 16. On the approval of the industry standard “clinical and economic research. General provisions”: Order No. 161 of the Ministry of Health of the Russian Federation of 27.05.2011 [Ob utverzhdenii otraslevogo standarta «kliniko-ehkonomicheskie issledovaniya. Obshchie polozheniya»: prikaz №163 Ministerstva Zdravoohraneniya Rossijskoj Federacii ot 27.05.2011 (in Russian)]. 17. Avksent’eva M.A., Gerasimov B. V., Sura M. V. Clinical and economic analysis (assessment, selection of medical technologies and quality management of medical care). Ed. P. A. Vorobyov [klinikoehkonomicheskij analiz (ocenka, vybor medicinskih tekhnologij i upravleniya kachestvom medicinskoj pomoshchi). Pod red. P. A. Vorob’eva (in Russian)]. Moscow. 2004; 404 s.
18. Belousov Yu.B. Planning and conducting clinical trials of medicines [Planirovanie i provedenie klinicheskih issledovanij lekarstvennyh sredstv (in Russian)]. Moscow. 2000; 579 s.
19. Basic concepts in the evaluation of medical technologies: a method. allowance. Under. Ed. AS Kolbin, SK Zyryanov, D. Yu. Belousov [Osnovnye ponyatiya v ocenke medicinskih tekhnologij: metod. posobie. Pod. red. A. S. kolbina, S. k. Zyryanova, D. YU. Belousova (in Russian)]. Moscow. 2013; 42 s.
20. Walley T., Haycox A., Boland A. Pharmacoeconomics. elsevier Health Sciences. 2004; 216 s.
21. Josephine A. Mauskopf et al. Principles of Good Practice for Budget Impact Analysis: Report of the ISPOR Task Force on Good Research Practices – Budget Impact Analysis. Value in Health. 2007; 10 (5); 336-347. 22. Decree of the Government of the Russian Federation of December 12, 2016 N 1403 “On the Program of State Guarantees of Free Medical Assistance to Citizens for 2017 and for the Planning Period of 2018 and 2019” [Postanovlenie Pravitel’stva RF ot 19.12.2016 n 1403 «O Programme gosudarstvennyh garantij besplatnogo okazaniya grazhdanam medicinskoj pomoshchi na 2017 god i na planovyj period 2018 i 2019 godov» (in Russian)]. 23. The General Tariff Agreement for St. Petersburg (in Russian). [electronic resource] URL: http://www.spboms.ru/kiop/main?page_id=338. Accessed: 18.04.2018. 24. State Register of Medicines (in Russian). [electronic resource] URL: http://grls.rosminzdrav.ru/Default.aspx. Accessed: 18.04.2018. 25. Russian pharmaceutical portal PHARM-index (in Russian). [electronic resource] URL: https://www.pharmindex.ru/. Accessed: 18.04.2018. 26. Federal Law No. 255-FZ of December 29, 2006 (as amended on 03.12.2011) “On compulsory social insurance in case of temporary incapacity for work and in connection with maternity” [Federal’nyj zakon ot 29.12.2006 n 255-FZ (red. ot 03.12.2011) «Ob obyazatel’nom social’nom strahovanii na sluchaj vremennoj netrudosposobnosti i v svyazi s materinstvom» (in Russian)]. 27. The territorial department of the Federal State Statistics Service for St. Petersburg and the Leningrad region, the official website (in Russian). [electronic resource] URL: http://petrostat.gks.ru/. Accessed: 18.04.2018. 28. Lekht S. et al. Social’naya i klinicheskaya psihitariya (in Russian). 2016; 26 (2): 65-71. 29. Davis J. M. et al. A meta-analysis of efficacy of secondgeneration antipsychotics. Arch. Gen. Psychiatry. 2003; 60: 733-759. 30. Newton A. S. Antipsychotics in adult with schizophrenia: comparative effectiveness of fist-generation versus second-generation medications a systematic review and meta-analysis. Ann. int. Med. 2012; 157: 498-511.